It is clear that Coldwell Banker can find the perfect home for any family, but how about for every type of fish? For some, the love of the great outdoors isn’t limited to parks or vacations but has become an extension of their homes. Speaking as a person who prefers hiking to watching TV, I have always found that casting a line in my favorite fishing hole is time well spent. After all, fishing allows you to spend quality time with family and friends, instills a deep appreciation for the outdoors and promotes responsible use of our nation’s waters. I recently searched and found the ideal property for every type of angler (just call it daydreaming). Have you ever sat down at your breakfast table wondering if the fish are biting that day? 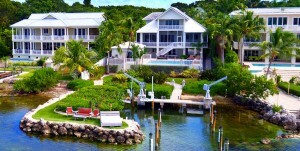 Never wonder again with this beautiful property overlooking the Atlantic Ocean in Plantation Key, Fla. An additional benefit to living in this stunning home, you can just look out the window to see if the Tarpon are jumping. 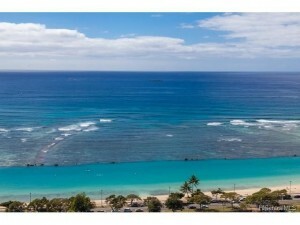 Listed by: The Alina Davis Team, Coldwell Banker Schmitt Real Estate Co. If you prefer your fishing to be “off the grid”, there are some real hidden gems in Alaska. With water and mountain views, the toughest decision facing you will be deciding whether to head out for the enormous Halibut or find a mountain stream for exciting Salmon fishing. 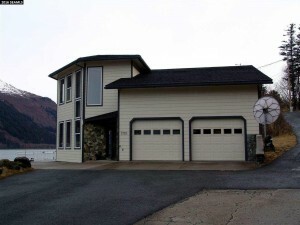 Check out this very cool custom built sportsman’s dream in Douglas, Alaska. If you prefer boots and gloves over sandals and shorts, you probably also love ice fishing for Walleye. 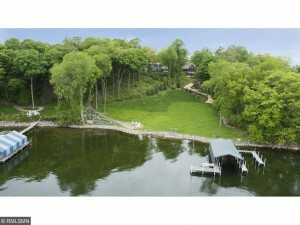 If you always dreamed of stunning panoramic views of a lake full of Walleye, we have a home for you. Become one with nature as you enjoy your HOT morning coffee on your deck before heading out to drill your fishing hole in the ice. A river doesn’t run through it, but it does come pretty close! If you are looking for the perfect spot to test your fly fishing skills, give this log cabin lodge a look. 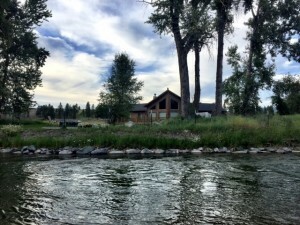 This beautiful home in Eureka, Montana is nestled along the Trout filled waters of the Tobacco River. Aloha! You may not feel that living in a complex is a fisherman’s den, but you should if it has miles of beach just outside the door. Surf fishing is great way to enjoy sand, waves and sun all while casting for Bonefish or the popular Barracuda. So grab your sunscreen and surf pole and hit the beach for some real fun in the sun. If you are looking to combine a great sport with beautiful scenery, consider a fishing inspired home. Then, grab your family and friends, start casting your lines and creating some memories that will last a lifetime. New Jersey lifer with an amazing wife and kids who fuel everything I do and make me…me. I’ve got the best job ever because I love all things marketing (I also love long weekends, holidays and days off…go figure)! When I’m outside, listening to music or with my family, I’m a happy guy. Prepare to have a serious case of wanderlust.